This page features reviews of some of our favorite first novels - Partners' Picks - from our First Editions collection. Call us at 212-243-0440 or email us at partners@crimepays.com for prices and ordering information. Author's first novel is a gritty Newark noir mystery which introduces investigative reporter Carter Ross of the Newark Eagle-Examiner. After a quadruple homicide is discovered, in which four seemingly unrelated corpses are stacked in a vacant lot, the police leak a theory to explain the body count and calm the residents -- but Carter doesn’t buy it. Carter's background is far from the streets, but he's learned a lot on the job. He joins forces with his city editor and fields an unlikely team of neighborhood experts to go down those mean streets (and Newark has some mean ones!) and find the truth. As a former print reporter, Parks vividly conveys the pace and politics of the newspaper business with plenty of slams to television reportage, and the casually brutal wit of a bunch of people who live on — and for — words. 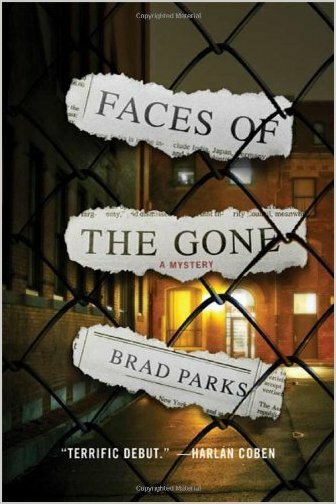 Faces of the Gone is a feast of newsroom smarts and political savvy, expert pacing and textured dialog — don't miss it! What if everything about your life and the society you live in were dictated by which portions of the spectrum you could see? As measured in a foolproof test administered by the most revered authority in your world? This is the central focus of Jasper Fforde's exceptional new novel, Shades of Grey. In a society several removes from our own and about 600 years into the future, everyone is calmly and politely living out the lives dictated by the Word of Munsell, or almost everyone... The preferred mode is Stasis; the Previous is inexplicable and uninteresting to most of the population. Odd remnants of the world as we know it survive, although in wildly different forms: Friending has become a powerful social force and public feedback ratings fuel status and behavior cues; technology LeapBacks and governmental DeFacting are offset by Loopholery and Standard Variables as people endeavor to interpret the Rules; spoons are a precious commodity; and no one can see the Apocryphal Man. We LOVE this book! First of a trilogy. While Steve Hamilton has long been a favorite of ours, in The Lock Artist he introduces a uniquely appealing protagonist that we hope to see more of: "I was the Miracle Boy, once upon a time. Later on, the Milford Mute. The Golden Boy. The Young Ghost. The Kid. The Boxman. The Lock Artist. That was all me. But you can call me Mike." Mike doesn’t talk, ever, but writes his story in fits and starts from a prison cell. One of the most striking aspects of The Lock Artist is the author’s use of graphic novel panels to communicate between Mike and the only person he has ever wanted to be with; there are no illustrations in the book, but the panels are so clearly described that you can see them as you read. 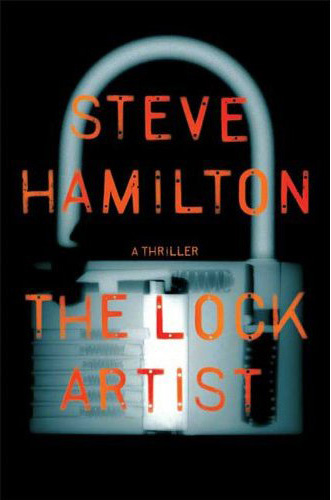 Hamilton has delivered a complete and utterly fascinating departure from his superb Alex McKnight crime novels. An added attraction to The Lock Artist is that it can be read by adventurous YA readers (fans of Suzanne Collins or Patrick Ness) and NO vampires! What we really loved about Bad Things Happen is how completely unexpected it is. Every time we thought, OK, now I get it, the writer went somewhere else – not A, not B, but C. Harry Dolan brings a fresh new voice (think deadpan noir) and a bottomless bag of tricks to the contemporary mystery novel. 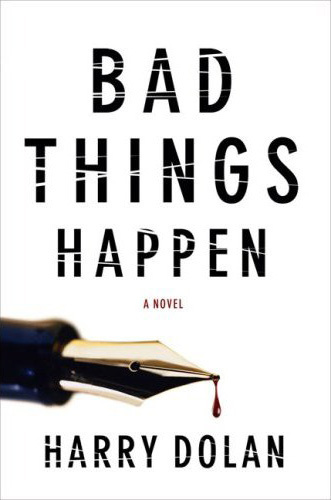 While you are reading Bad Things Happen, you are totally captivated by the characters and their all-too-human secrets and passions, which drive the plot at breakneck speed. But along with the constant reversals and surprises, you also get an homage to and send-up of the crime fiction genre itself. And after you finally are able to put it down (some sections demand re-reading), you realize that you have also read a murderous little meditation on the business of writing... and editing. Dolan had us from his sinister opening line: "The shovel has to meet certain requirements." The Ghosts of Belfast is a haunting literary dirge of a thriller about the 'troubles' of Northern Ireland. Former IRA hit man Gerry Fegan sees dead people: the ghosts of those he killed, assigned targets as well as innocent civilians caught in the crossfire. Neville walks a razor’s edge as he balances Fegan’s need for personal atonement (we’re talking ARMED personal atonement here, folks) against the complexities of a social order that desperately wants to Move On. This is a scorching and moving noir debut, the first book in a projected series. With raves from every notable crime writer in the business, you've either heard about this first novel or you've been in solitary confinement. Danny Carter's contented, quintessential suburban life collides with a crunch when he runs into his old burgling buddy Evan, who is newly released from prison with a really nasty jones for making Danny's life miserable. Evan is a splendidly villainous character; he steals every scene. It's a creepy pleasure watching him make Danny squirm. Sakey's debut crime novel asks, "How far would you go to protect everything you love?" and that's exactly what you'll find out. This debut bodes very well for Sakey's future - which is guaranteed if his next novel is anywhere half as good as Blade. Collectors and readers for pleasure alike should snap this up. Copyright (c) 1996 -2010 by Partners & Crime, Inc.